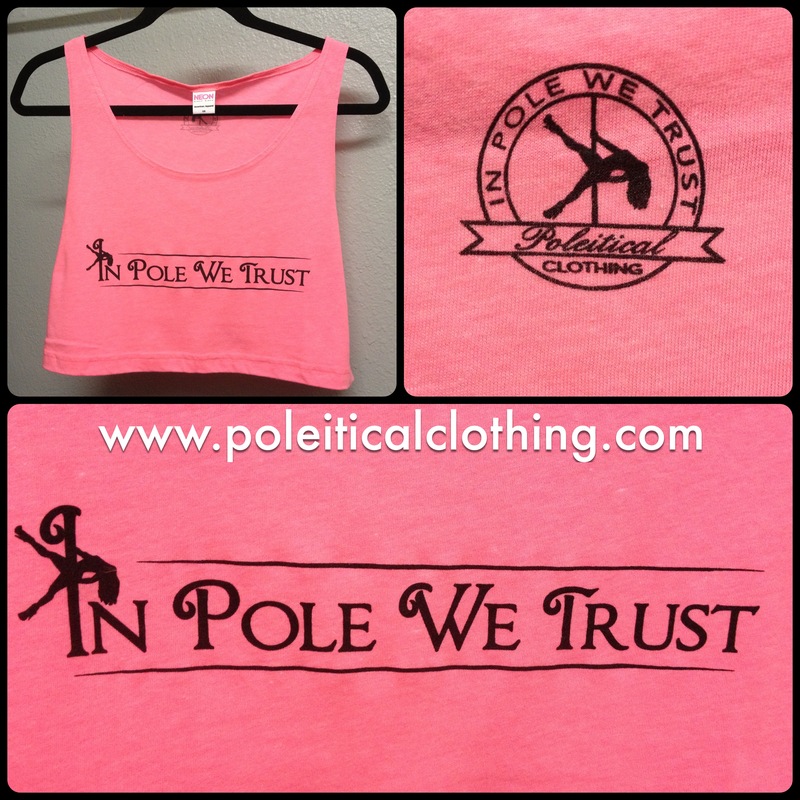 Announcing the launch of Poleitical Clothing! I’m so excited to announce that POLEITICAL CLOTHING, my apparel company with my friend Courtney, is launching this weekend, at California Pole Dance Championships! 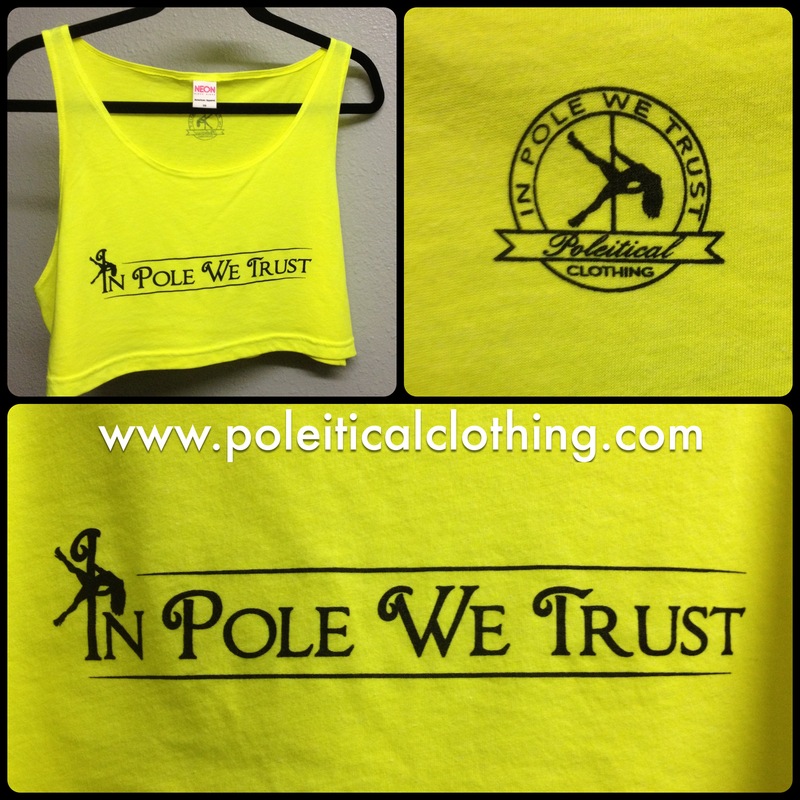 Our website – http://www.poleiticalclothing.com – is not yet up and running to take orders, but it will be soon. 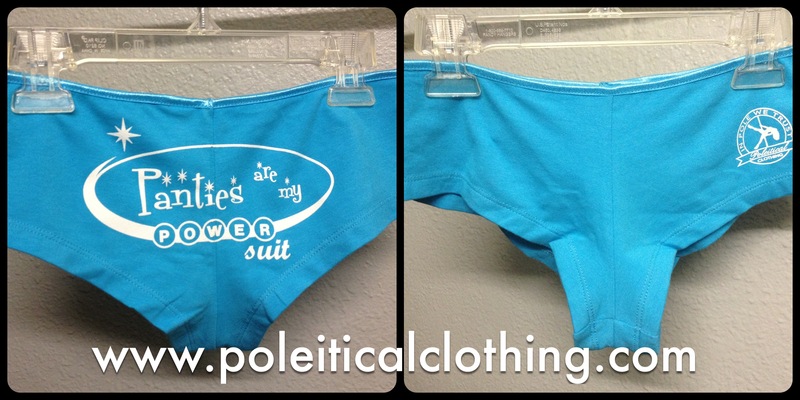 We’ll be posting photos of our items on Facebook and Twitter, so if you see something you like, please email us at poleiticalclothing [at ] gmail [dot] com to purchase or to be added to our mailing list for future items!